Do you need an experienced, caring lawyer to help you evaluate legal options after a serious or fatal accident? Are you involved in a business dispute with major implications for your financial well-being and continued success? We encourage you to contact our law offices in Houston for an honest case evaluation and helpful discussion of what we may be able to accomplish for you. 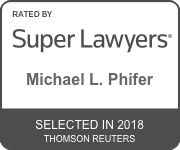 Our founding attorney Michael L. Phifer is a Certified Personal Injury Trial Law specialist, as recognized by the Texas Board of Legal Specialization. Practicing law since 1983, he has the last focused primarily on advocacy for serious personal injury victims, families of wrongful death victims and the victims of unfair and improper business practices. We offer serious, highly responsive legal advocacy focused on obtaining justice and promoting positive change. We are prepared to conduct the in-depth research and develop the innovative strategies required to pursue complex, high-stakes cases. Prompt action can be critical to protecting critical evidence and your legal rights. To consult a trustworthy attorney who will hear you out and provide clear guidance, please contact us. Get an honest case evaluation today. Our history and experience says it all. Experienced attorneys at the Law Offices of Michael L. Phifer, P.C., in Houston, represent individuals, families and businesses throughout the greater Houston area and Golden Triangle, along the Texas Gulf Coast, and across South Texas, including Harris County, Montgomery County, Fort Bend County, Galveston County, Liberty County and Brazoria County. Our clients come from Texas cities and communities including Houston, Conroe, Humble, Baytown, Pearland, Pasadena, Galveston, Clear Lake, Friendswood, Texas City, Memorial, Katy, River Oaks, The Woodlands and Spring Branch, TX.